Described as "ferociously talented" (The Oregonian) and "an exemplary performer" (Steve Smith, the Log Journal), Grammy-winning flutist Molly Alicia Barth specializes in the music of today. In demand as a soloist, Barth has recently performed in Australia, Korea and Mexico, and has played solo recitals and led clinics at esteemed institutions including the Eastman School of Music, Indiana University Jacobs School of Music, Oberlin Conservatory, Cincinnati Conservatory, Manhattan School of Music, San Francisco Conservatory and Northwestern University Bienen School of Music. Contemporary chamber music is Barth’s primary musical interest, and she is currently involved with two ensembles. Formed by Barth and guitarist Dieter Hennings, Duo Damiana is focused on broadening the cutting-edge body of repertoire for flute and guitar, and has recently released Castillos de Viento on the Innova label. The Zohn Collective, a new music initiative established in 2017, brings together a core ensemble of musicians with deep musical and personal ties for recording and performance projects throughout the world. With the Zohn Collective, a recording of the works of Ricardo Zohn Muldoon is forthcoming on the Naxos Oberlin label. As a founding member of the new music sextet Eighth Blackbird from 1996-2006, Barth won the 2007 “Best Chamber Music Performance” Grammy, recorded four CDs with Cedille Records, and was granted the 2000 Naumburg Chamber Music Award and first prize at the 1998 Concert Artists Guild International Competition. As co-founder of the Beta Collide New Music Project, Barth collaborated with individuals from a broad spectrum of disciplines such as dance, art, sound sculpture and theoretical physics and recorded two CDs and one DVD with Innova Records. 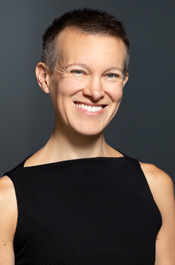 Barth was appointed Assistant Professor of Flute at the Blair School in Fall 2018. She completed her role as Associate Flute Professor at the University of Oregon. She also has taught at Willamette University and held residencies at the University of Chicago and at the University of Richmond. She is a graduate of the Oberlin College- Conservatory of Music, Cincinnati Conservatory of Music, and Northwestern University School of Music. In addition to frequent solo and master class appearances worldwide, Barth’s adjudication experience includes work with the National Endowment for the Arts, Australian Flute Festival, National Flute Association (USA), and the Alpert Award in the Arts (Los Angeles). She has commissioned scores of solo and chamber works, and has appeared on television and radio shows nationwide. Barth is a Burkart artist, and she also plays a 1953 Haynes alto flute.